Letters to the Editor: FIRST GAY MAN RUNNING FOR PRESIDENT OF THE USA! FIRST GAY MAN RUNNING FOR PRESIDENT OF THE USA! THE FIRST OPENLY GAY RUNNING FOR PRESIDENT IN 2020! 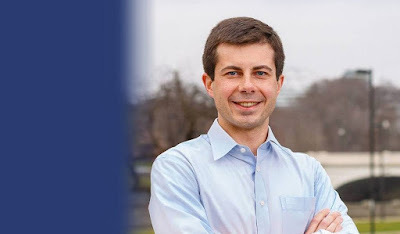 Peter Paul Montgomery Buttigieg is an American politician and former Naval Intelligence Officer who has served as the mayor of the city of South Bend, Indiana since 2012. Buttigieg is a graduate of Harvard University and Oxford University having attended Pembroke College. The bull is the winner!